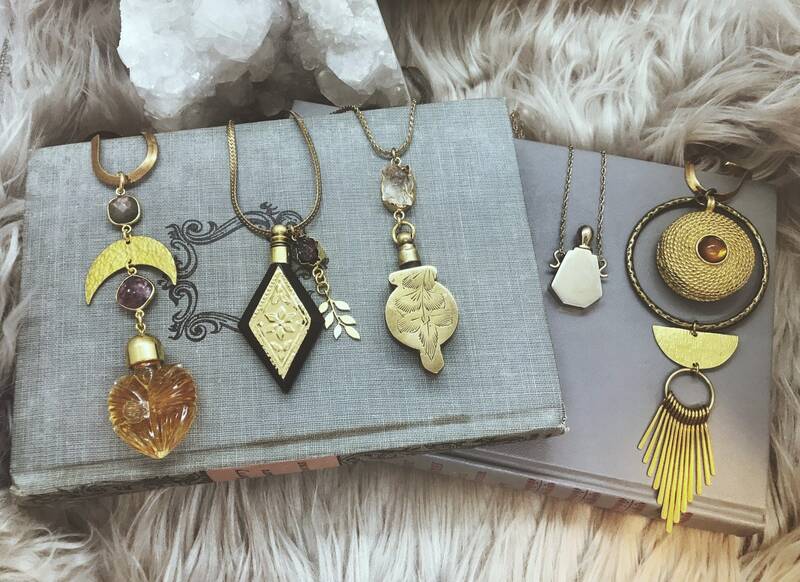 The Elettaria Moon collection is a special collaboration between artisan perfume brand Firefly Botanicals and jewelry brand The Gypsy Fawn for Valentine’s Day. 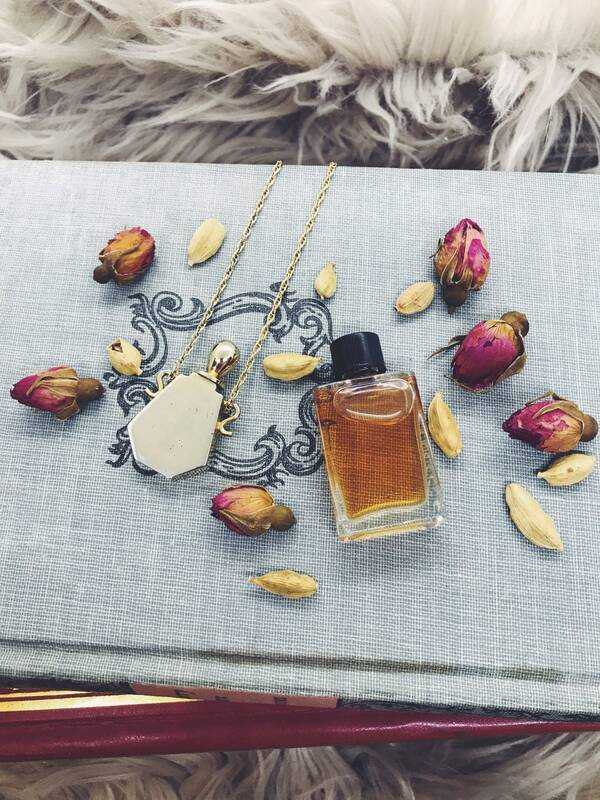 This one of a kind necklace features a vintage gold tone perfume bottle. The pendant measures 1.5 inches long and hangs from a 17 inch rope chain. Inside the bottle is approximately 1/2 ml of the Elettaria Moon fragrance. Because this only holds a small amount, you will also receive a 1 ml refill bottle (see last picture). 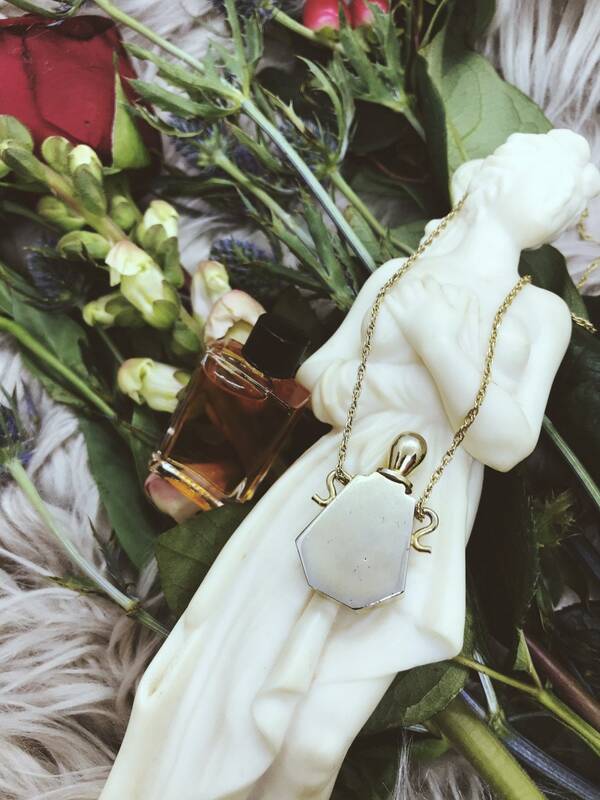 The Elettaria Moon perfume is a unisex fragrance that is seductive, tempting, spicy, and sweet. It’s a witchy love potion sure to entice your senses. With a pinch of dragon’s blood, a touch of sweet myrrh, and a dosing of cardamom, it’s a perfect way to enchant your lover. This is an oriental perfume; Oriental perfumes were the first perfumes that were made of resins, balsams, and spices into an oil. They are based on the aromatic as well as religious traditions of ancient cultures such as India, Persia, Egypt and etc. 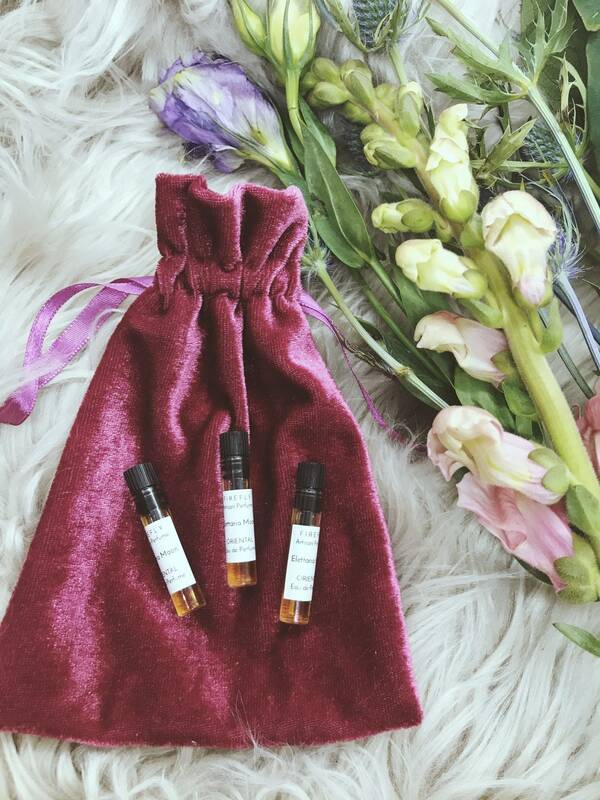 The perfume is made using natural ingredients in the Firefly Botanicals studio located in Murfreesboro, Tennessee. 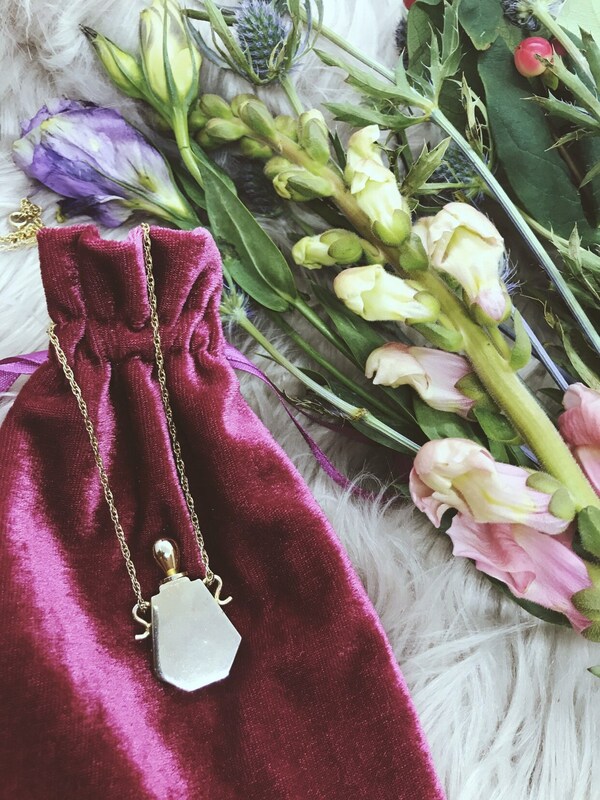 Your necklace will arrive in a special, luxurious velvet bag ready for gift giving. The perfume bottle has a small dabber lid for applying the fragrance. You will also receive a dropper to use to refill your necklace.